What you might not know is we briefly had one before, Cyril, a light blue T25 with a proper overheating issue that turned out to be a blown head gasket, fixed with a type of Radseal but for head gaskets.. Looking back on it the van was a bit of a death trap and we were lucky to escape the accident we had without serious injury, apparently that low loader usually has a JCB digger on board with the big bucket overhanging the back, the bucket with it’s metal teeth of nastiness is what we would have hit first and i’m pretty sure death or serious injury to both of us would have followed, scary stuff. Anyhoo, fast forward 4 years and a trip to Ibiza, a conversation about vans and an epic road trip over a cocktail or two and on our return to blighty the green light was given and the search for a van began.. I won’t bore you with the details of the search but after some brief research and just as brief searching, Bumblee was found, viewed, test drove, purchased and brought back to (at the time) sunny Croydonia…. He’s a little rough around the edges and it seemed like he was a pretty solid 2.5tdi van. 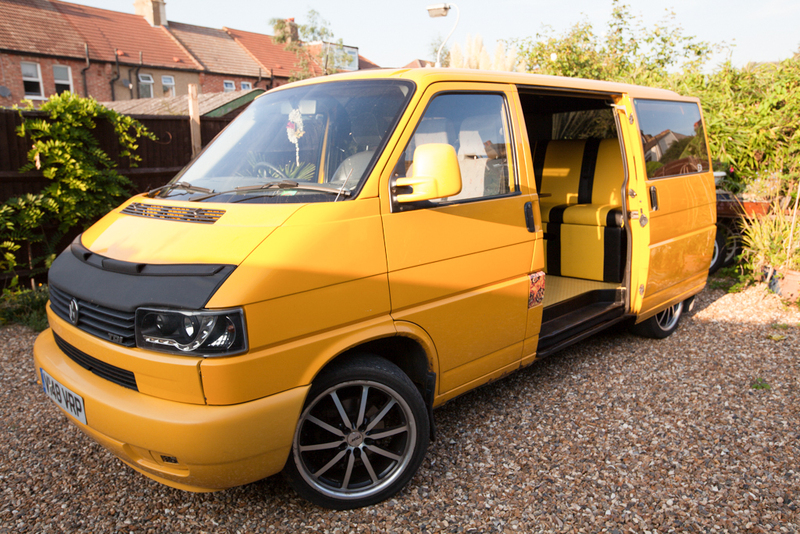 The conversion has been “completed” in the back so you can eat, sleep, make tea and the conversion meets the standards required by the DVLA to reclassify the van as a motor caravan. The advantages of this are cheaper motor insurance and a lower gross vehicle weight, below 2.5 tonnes to be precise which meets TFL’s low emission zone exemption requirements. If you live anywhere near London or within the M25 and are thinking of buying a van, do look up the low emission zone and whats required of your vehicle to make it exempt or compliant, I didn’t and it very nearly cost me over a grand or £100 per day to drive the van within the zone! As with buying any vehicle, do your research, look at vehicle history from the seller, HPI checks, all the usuals, we did all this, were convinced we were buying a van that didn’t need too much doing to it and are still spending money to get it right, you can read about it all in the pages of this blog !